PENDLETON, Oregon – The Oregon State Police just finished teaching officials from across the U.S. and Canada how to set up a school safety tip line. InterMountain Education Service District Superintendent Mark Mulvihill says OSP’s SafeOregon line is a leader in the nation. It was just two years ago that the state police began the program as a pilot project in the IMESD and Hermiston School District. InterMountain was the only ESD to have created a school safety plan involving law enforcement, first responders and school officials from all of its districts. Mulvihill says it’s natural that when OSP was charged with launching a tip line, it was natural for them to look to Eastern Oregon. 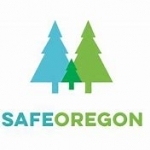 In March through May of this year, SafeOregon fielded 789 tips. Students and community members report on bullying, threats to safety, suicidal students, child abuse and other issues. The most immediate dangers are immediately investigated to law enforcement. Others are passed to school administrators for them to investigate.